The Waitaki Resource Recovery Park is participating in the Employer Led Workplace Literacy and Numeracy programme, and wants to encourage other Zero Waste initiatives to consider doing the same. The programme is a government-funded way for employers to provide free qualified tuition to their employees so that they can improve their peoples’ productivity and confidence in the workplace. 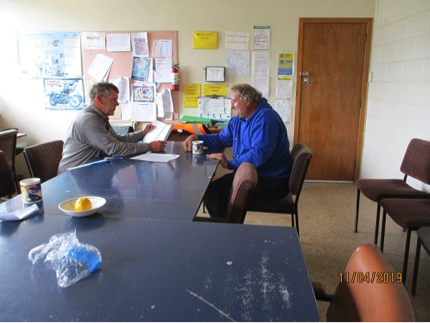 The Waitaki literacy programme started in 2016, after it was identified that they thought there was a need within their employees and volunteers. Many people came to them who would not get employment elsewhere due to low literacy levels, disabilities etc. They have noticed a huge improvement in employee’s confidence, time keeping, health & safety, presentation and productivity since the programme started. The programme is open to all employees. The learning is based on workplace literacy and numeracy and moves into personal learning for example if someone is not eating correctly enough to fuel their body for a hard day’s work then the learning could be around their health and wellbeing etc. At first some staff were hesitant about doing this as they had not had a good experience at school, however once they found out it was one-on-one tutoring and that they wouldn’t lose any wages for their time in the lesson they were all lining up to join.